ColorMag is a fast, clean, modern and perfect responsive magazine WordPress theme. 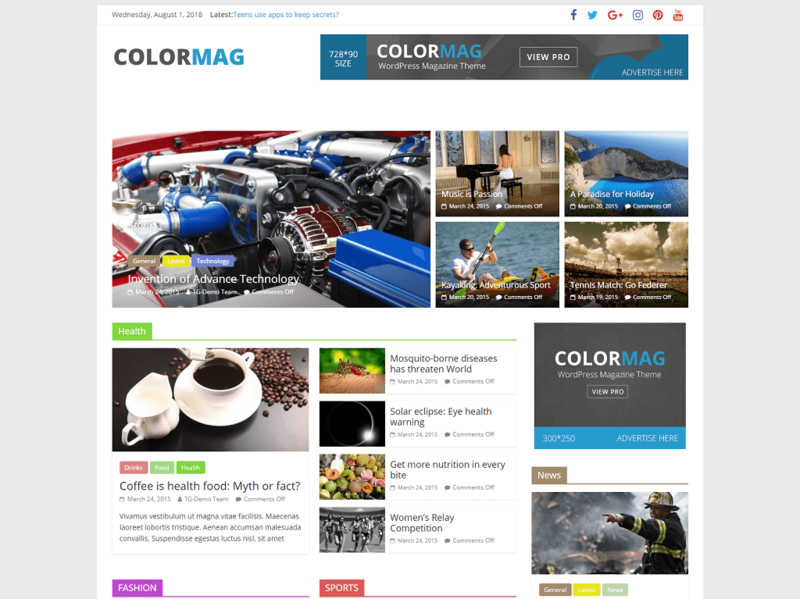 ColorMag will be fit for news, newspaper, magazine, publishing, business and any kind of sites. It is Fully compatible with Elementor page builder plugin to create multiple demos. ColorMag is fully responsive it will looks amazing in mobile, tablet and desktop. It is one of the most popular theme in all our free WordPress themes. ColorMag is perfect magazine WordPress theme for those who are searching theme to create website for newspaper, magazine etc. they would be like this theme and can build this theme according to them self like whichever they want.